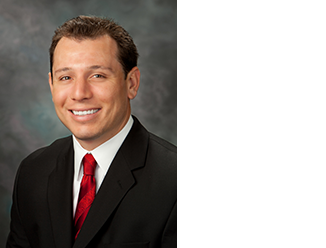 Robert Flores has been an active and successful commercial real estate professional since 2008. He joined CBRE in April of 2012, focusing a majority of his time working with tenants and buyers in the transportation and logistics industries. Robert’s client base ranges from multinational corporations to local trucking companies. His expertise in the Ports of Los Angeles and Long Beach submarket play a key role in the success of these client relationships. Robert takes tremendous pride in being able to provide his clients with true value-add services and comprehensive market knowledge. Prior to joining CBRE, Robert began his career with DAUM Commercial Real Estate Services and was consistently a “Top Producer” companywide. In his time with DAUM, Robert was been awarded with “Rookie of the Year” honors, as well as consecutively earning “Top 20” recognition each year he was with the firm. Robert credits his success to his tenacious attitude, strong ethics and willingness to “go the extra mile” for his clients.